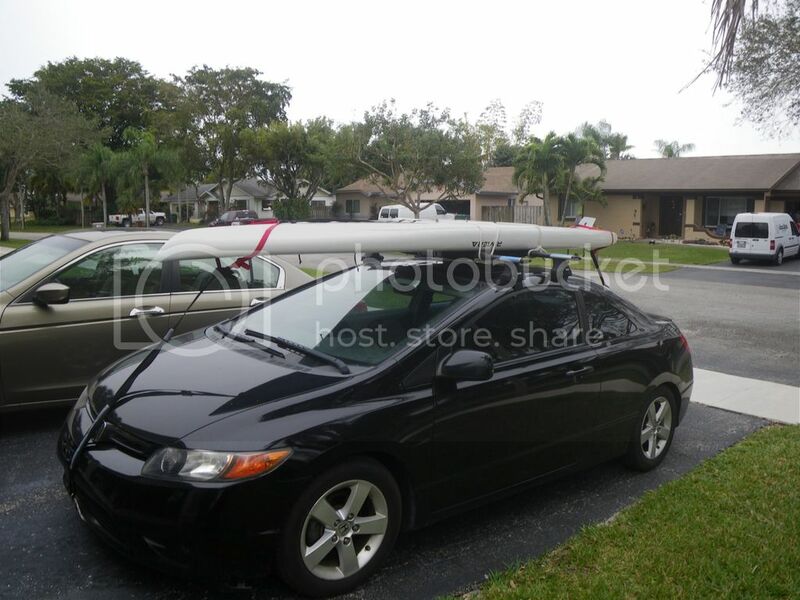 Its official going up for sale is my fishing SUP with Adjustable length paddle $500.00 OBO, Cooler/Drybox not included. Riviera Voyager , board is 12'6" x 32 x 5.5 weighs 34#, EPS Foam/Epoxy build, with 3/4 eva-foam deck padding, touring style paddleboard. I added 2 tie-down points to secure a cooler/drybox that also doubles as a seat and/or standing platform, and 2 center carry/lift handles that make it easier to lift, carry, and/or load. Its a well used, with some ding repairs, but solid and in great usable shape as is. This SUP/Paddleboard is a great recreational paddleboard and also as a sight fishing machine on the flats. It can be paddled or pole'd. I primarily only use it for fishing, but have paddled it in the local canals and at the beach in fun non-fishing mode. Adjustable length SUP paddle is included. (The cooler is not included, but could be, make offer). The guy I purchased it from used it for night-sup paddling so it has led strip lights in the bottom side of the hull with a hatch for a battery. The people did a really nice job of imbedding flush and glassing the led's into hull below the water level so no glare and it lights up the water for several feet below and around the board. Hate to see it go, but the financial adviser says if I want a new toy something has to go. Pic's below, located in Ft. Lauderdale, but for a couple tanks of gas I could be talked into delivering as far away as Tampa area, with a non-refundable deposit of course. Looks like a beauty. I do not have the balance any longer but will pass this sale on to one lady I know here who is an avid kayaker and may be game for something new. It's pretty stable... I've never taken a spill/splash unintended from it. Rigged for a BoneFish chase... simple but ready. Summer is here, July 4th is right around the corner... this paddle-board is also a great recreational board for paddling off the beach, lake, or canal.. just think how good you wife would look or you kids could have tons of fun this summer with it, and on off days you can fish from it too. Still available, Price Dropped to $450.00.... Riviera Voyager 12'6" paddleboard and adjustable paddle. But Cooler/Drybox is no longer included, its been repurposed for use on my canoe/kayak, but I could be convinced to sell it for a hundie.